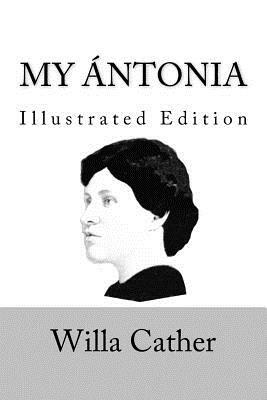 My ntonia, first published in 1918, is considered one of the best works of Pulitzer Prize winner Willa Cather. It is the final book of her "prairie trilogy" of novels, preceded by O Pioneers and The Song of the Lark. The novel is a fictional book of memoirs by Jim Burden, about ntonia, an immigrant girl whom he grew up in the American West. The novel is based on Cather's personal experience, as she, like the character Jim, also moved to Nebraska when young. Also many of the events, characters and settings of the novel are based on her own childhood experiences. My ntonia was enthusiastically received in 1918 when it was first published and placed Cather in the forefront of women novelists. Today, it is considered as her first masterpiece. It brought place forward almost as if it were one of the characters, while at the same time playing upon the universality of the emotions, which in turn promoted regional American literature as a valid part of mainstream literature. My ntonia is clearly an elegy to those families who built new lives west of the Mississippi River and highlights the role of women pioneers in particular. Furthermore, Cather was very nontraditional in her characters choice. Unlike many of her contemporaries, Cather chose to write about everyday people in the American West, focusing on the lives and concerns of average Nebraskans, including European immigrants. Cather was praised for bringing the American West to life and making it personally interesting, providing a rare and wonderful glimpse into the lives of the early white settlers of the American West. My ntonia is a selection of The Big Read, The National Endowment for the Arts' community-wide reading program. Mogul Classics is proud to offer you the best edition of this literary classic featuring one of the most acclaimed books of the 20th century.